In August my wife and I spent a couple days on the Simplon Pass in southern Switzerland (more on that here). We walked around quite a bit (long days in summer are great), and one day happened upon these stone slabs with inscriptions. There were three groups of them, scattered on the hills, each with three slabs. 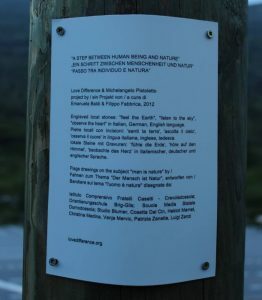 At each group, there was a phrase in English, a phrase in Italian, and a phrase in German, and by going to the different groups, we found there were three different phrases translated into the different languages. What I found funny, was that, if I had planned it, I would have chosen one of two arrangements. Either you have one phrase at each grouping (in all three languages). Or you have one language at each grouping (with the three different phrases). A third possibility (although not one I’d choose) is to at least have all the phrases at each grouping, but in different languages. We’re not sure what the original plans called for in this project, but the result was none of these three. Instead each grouping has two phrases, one in one language, and then another in the other two languages. We’ll ignore the comic-sans and rather humorous typo of “Fell the Earth”. Besides my nitpicking, the project fits beautifully into the surroundings, and I hope it is a permanent feature. There’s something surreal about the Swiss countryside, in between the mountains, the snow and dark green fields. 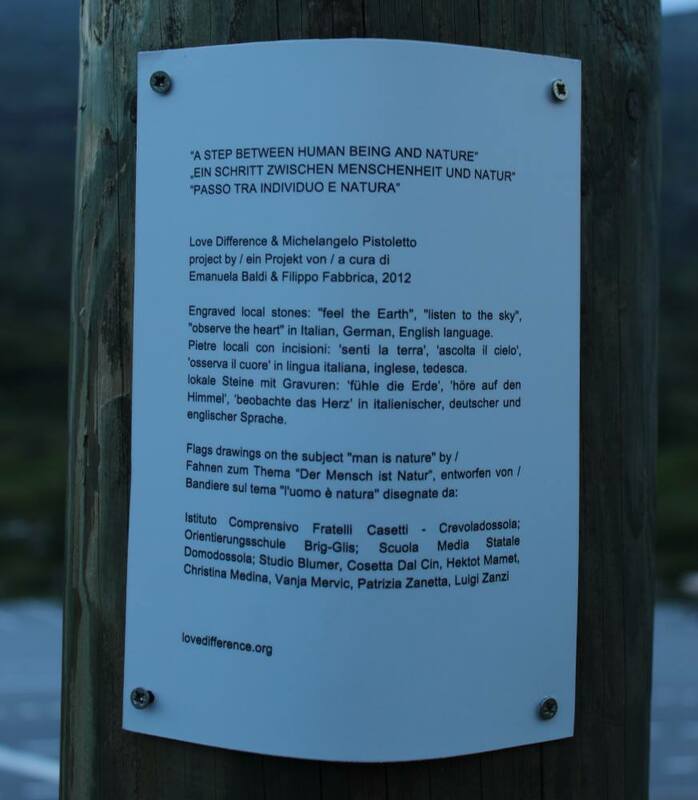 The project was titled “A step between human being and nature” by Emanuela Baldi & Filippo Fabbrica, 2012. 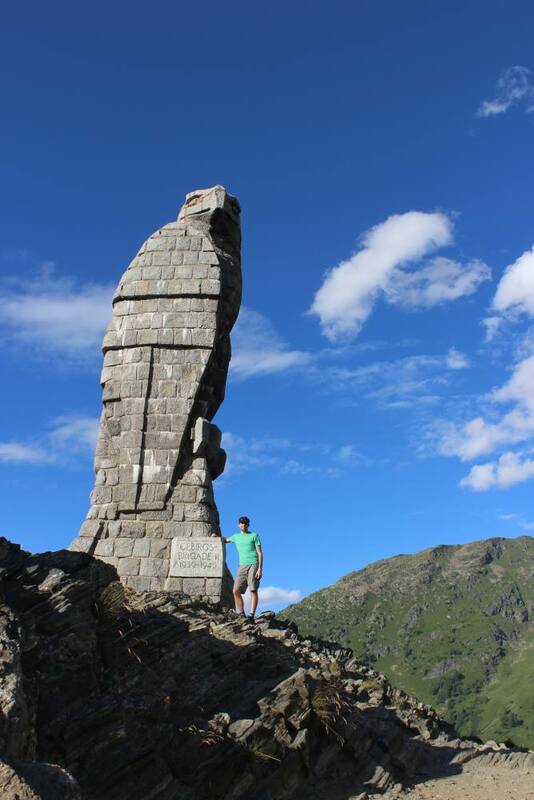 This entry was posted in Opinion and tagged simplon pass by Gareth. Bookmark the permalink.